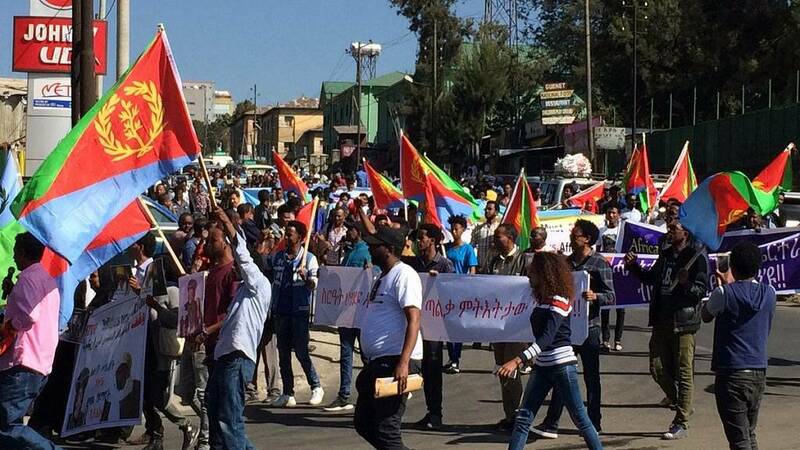 Ethiopia’s security forces granted permission for Eritrean refugees and opposition groups to stage a protest against the regime back home. 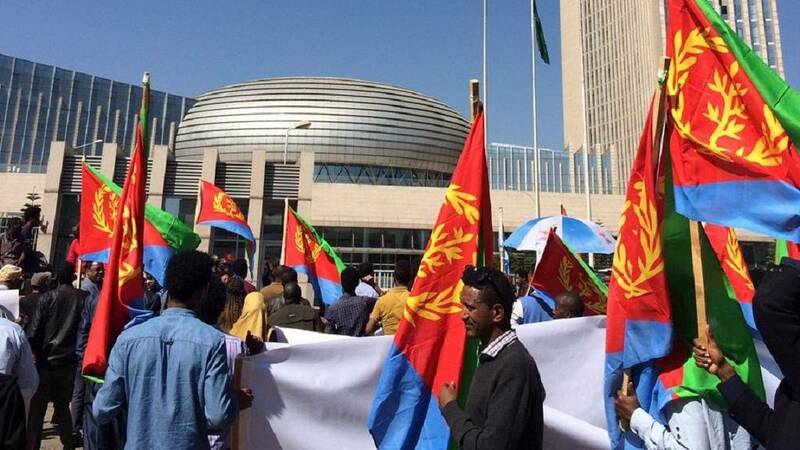 The protesters were said to have marched from Addis Ababa’s Guenet Hotel to the premises of the African Union to register their displeasure with ongoings back home. The number of protesters involved is said to have been around 250. 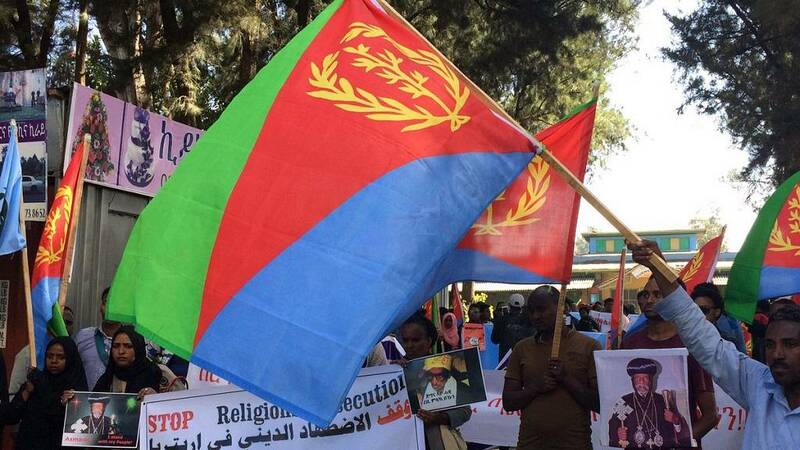 Photos shared by Nizar Manek, Bloomberg’s correspondent for Ethiopia and the Horn of Africa region, showed a number of protesters waving Eritrean flags and other banners protesting political and religious persecution. The occurrence happens at a time when Ethiopia has reportedly imposed a ban on protest rallies in a national security move. After the lifting of a 10 – month long state of emergency, protests especially in the Oromia region has reared its head leading to the move after a national security council meeting late last week. The relationship between Eritrea and Ethiopia continues to be tense since the former attained independence from the latter in 1993. They accuse each other of being behind destabilization efforts. 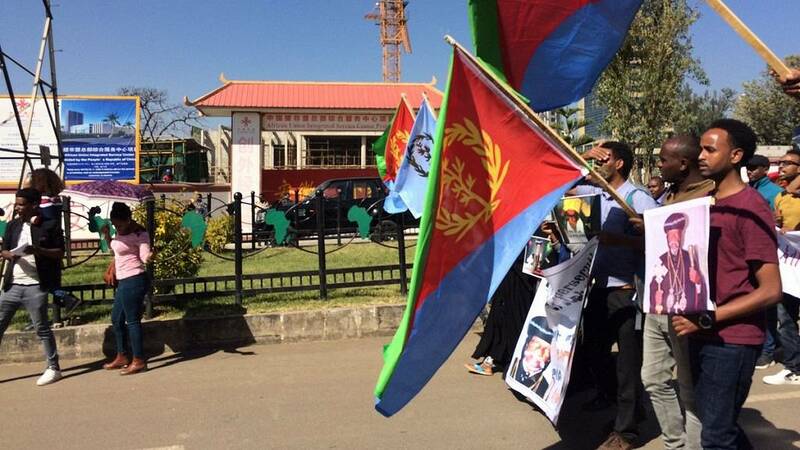 The last big protest to have hit Eritrea was recorded weeks back when students marched through the capital Asmara to protest government interference in the running of the school. Nationals held protest rallies across the world to condemn the arrests and clampdown that met the protesters.